Mars Cinema Group install Sony 4K Digital Cinema technology in 69 screens of its 8 new cinemas in Turkey, once again offering superior image quality, outstanding contrast ratio, combined with reliability, ease of use and favorable ownership costs. Basingstoke, UK (January 23, 2017) – Mars Cinema Group, one of the most prestigious cinema chains in Turkey, has signed a new partnership with Sony 4K Digital Cinema. Under this new partnership, 69 screens in 8 new cinemas across Turkey will be equipped with Sony’s most advanced 4K Digital Cinema technology. The project will be completed within a 12 month period, beginning first with Çorum AHL Park in January, followed by Vadi Istanbul and Emaar Square to be opened in March 2017. Only last year, South Korea’s largest operator of multi-screen theatres, CJ-CGV, acquired Mars Cinema, adding Turkey’s biggest cinema chain to its global network. The solutions offered from Sony 4K Digital Cinema under the partnership differ from competitors. Sony’s exclusive SXRD screen panel technology only delivers impressive and realistic Ultra HD 4K images with vivid colors and excellent contrast. 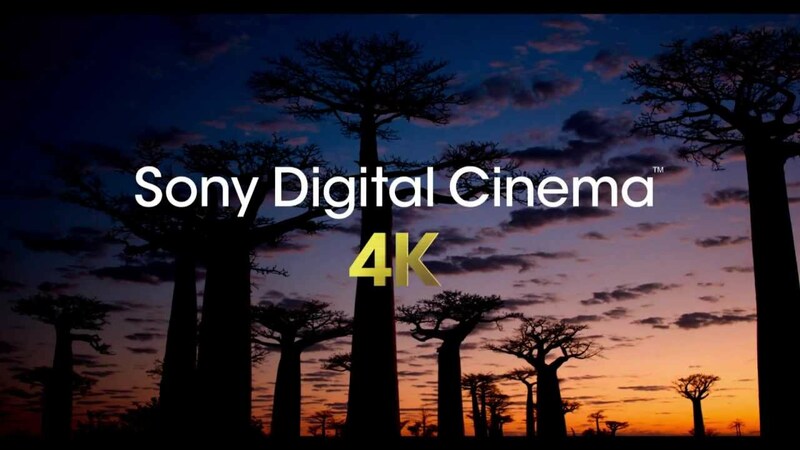 Sony Digital Cinema 4K projection delivers superior images with an industry leading contract ratio of 8000:1. As more and more content is shot in 4K, the quality presented on screen is that expected of movie director and consumers alike.The SRX-R510DS and SRX-R515DS dual projection solutions both offer highly favorable ownership costs compared with conventional Xenon-based projectors. Instead of the usual Xenon light source, Sony projectors use a series of six High Pressure Mercury (HPM) lamps. Thus, in the case of any lamp crash, the images stay unaffected on screen. Lamps are easy to change and cost effective making Sony 4K a highly reliable solution. In addition, unlike other offerings, Sony’s 3D technology uses a method that does not distract, offering uniquely smooth, easy-on-the eye images, with continuous projection of separate left/right eye images. The new partnership follows a successful first purchase from Mars Cinema Group announced back in November 2015, which included a total of 82 Sony Digital Cinema 4K projectors and 3D systems by the cinema chain. From Ankara to Van Mardin to Izmir, Modern East in Istanbul was the first of a total of 10 new cinemas belonging to Mars Cinema Group which successfully installed Sony Digital Cinema 4K to provide state of the art digital 4K projection to its customers under this first agreement. Now, under this new partnership, from March 2017, Sony 4K Digital Cinema technology will be available in the mega cinema complex in Emaar Square, in 15 screens with 2,400 capacity, it will serve as the biggest shopping and living Centre in Turkey, on the Asian side of Istanbul offering an unparalleled entertainment experience. In these screens, a SRX-R515DS, dual projection system will be installed that delivers 30,000 lumen brightness levels – ideal for presentation in 3D or 2D on Premium Large Format (PLF) screens. Its efficient, low-maintenance High Pressure Mercury (HPM) multi-lamp array gives highly affordable running costs, compared with Xenon-based projection lamps, making this a highly attractive choice. In addition, two SRX-R510DS projectors will be equipped in the multiplex also offering peerless 4K picture quality and industry-leading 8000:1 contrast ratio. The SRX-R515DS, SRX-R510DS, SRX-R510P, SRX-R515P and 3D projector systemswill all be used within the project, which will include the Mars Cinema Group’s 8 new cinema sites across Turkey. The project management, supply, installation and all ongoing procedures are maintained by CinemaNext TR.CinemaNextTR is an official dealer of Sony Digital Cinema 4K Projection Systems in Turkey. CinemaNextTR will be providing maintenance and technical support to Mars Cinema Group under terms of the agreement. Referring to the new partnership between Mars Cinema Group and Sony, Hakan Askar, Digital Systems Manager of Mars Cinema Group, stated, “Mars Cinema group is dedicated to providing the best cinema experience to movie goers in Turkey…we’re delighted following a successful first partnership with Sony 4K Digital Cinema that we’ll now be able to offer to more of our customers incredible life-like detail, rich vivid colours as well as crystal clear 3D picture quality- we look forward to the next 12 months as the installations get underway”. Sony Digital Cinema 4K Regional Sales Manager Tim Potter ended, “We’re so pleased that Mars Cinema Group have yet again chosen Sony as a trusted business partner. We know Mars customers will continue to be ‘wowed’ as they experience the very best in picture quality”. Headquartered in Istanbul, Mars Cinema Group is the leading cinema circuit in Turkey with 85 locations, and 751 screens operating under the Cinemaximum brand in 32 cities. The cinemas are well known for their state-of-the-art technology and have adopted a large number of leading-edge solutions for immersive cinema entertainment including the powerful sound technologies of Dolby Atmos. The company also owns the cinema advertising company Mars Media and the film distribution company Mars Dagitim.